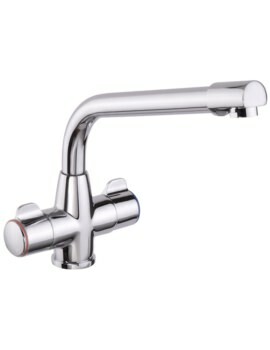 Kitchen mixer taps mix hot and cold water in a set ratio and spray out from a single spout. 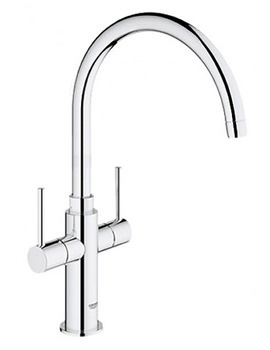 Depending on your pressure system, you can select either low or high pressure kitchen tap. With a plethora of choices available, including traditional, modern, and pull-out sprays, we are sure; you will find one that suits your requirement. Made from a durable and corrosion-resistant material, they come with a guarantee period. Our range includes Contemporary styles, which include gooseneck sink spouts that easily rotate to accommodate two sinks and arch high enough to accommodate larger pots and pans. Pull-out sprayers can be reached to a certain area to facilitate clean-up as well as watering windowsill plants. Kitchen sink sprayers also have adjustable water flows consisting of an aerated stream and powerful water stream for intense cleaning jobs. With over 700 plus choices, you can select the best tap for your sink.